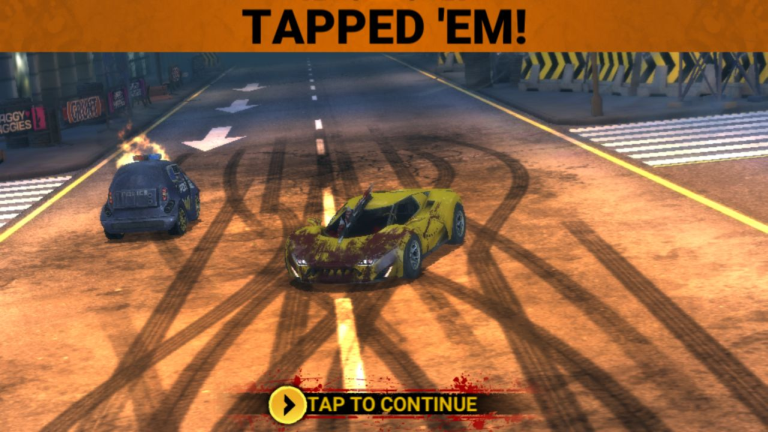 Carmageddon: Crashers is the next step for the Carmageddon brand, bringing the unique blend and experience that is Carmageddon to the iOS and Android platforms. 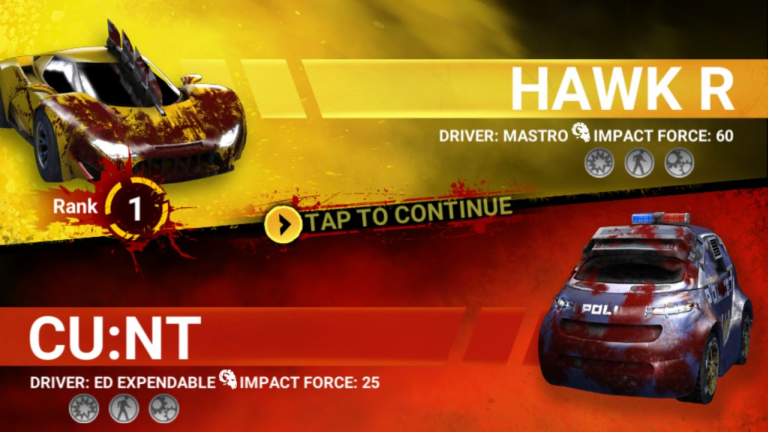 It offers the players a similar motoring mayhem experience, but with gameplay designed to appeal to the burst-play mobile gamer. 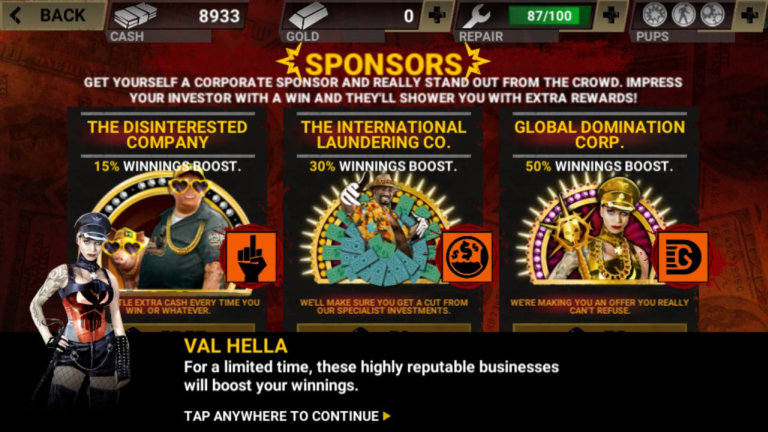 The game will be Free To Play – the model adopted by the majority of successful games on mobile platforms. 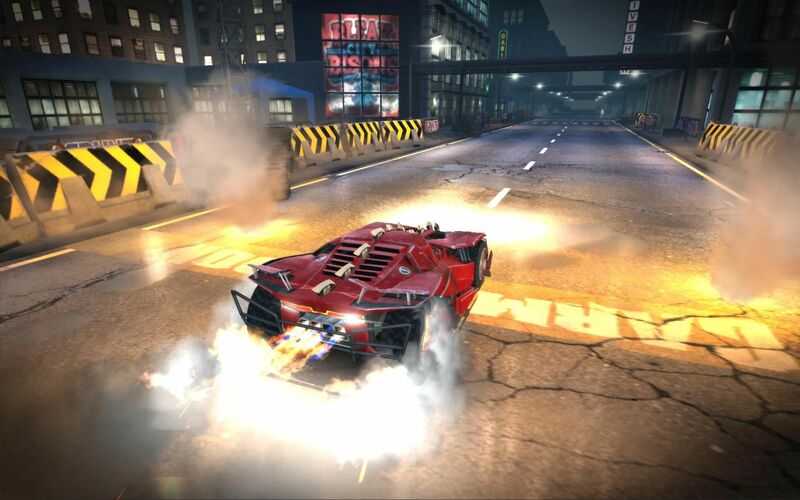 With excellent graphics and focused monetization, the game creates an experience that allows the player to satisfy the urges of their inner ‘Max Damage’ and release everyday stresses by having high speed head-on crashes in crazy customised racing cars. Carmageddon: Crashers will be available on iOS and Android during the fall of 2016. The upcoming Carmageddon game for console gamers has just had a release date announced, which is June 3rd, 2016 for those of you that are curious as to what that date is. One thing that hasn't really been mentioned yet though is that this game will be getting a mobile companion called Carmageddon Crashers. While the developers are labeling this as a 'mobile companion', they don't go into much detail as to whether this is a companion app or a mobile spin-off game. Our guess is that it is the latter of the two. The new Carmageddon: Max Damage game for console will come with three different gameplay modes, including a multiplayer one, and plenty of bloody, guts, and bodies bouncing off of car hoods. It should be safe to assume that Carmageddon Crashers will have plenty of its own blood, guts, and bouncing bodies, although as we mentioned, there isn't much in the way of details about this title right now beside the fact it exists. The good news is that we will be going hands-on with Carmageddon Crashers during GDC 2016 next week, so we will be able to fill in the gaps shortly. (...) That's cool! And tell us about Carmageddon Crashers. It is something like a spin-off or an entirely new thing? Well yeah! I was on holiday for the past three weeks so I missed it. Sounds very interesting. Free to play, hmm... Well, that is starting to be the norm anyway, so why not. And indeed, where are all the reactions guys? How cool to visit the office. I wish it was a bit closer to my home so I could have joined. I can't wait to see an actual gameplay video. Crashers is drag racing with a difference... The cars start from opposite ends of the drag strip, and race straight at one another. There can be only one outcome… Wreck or be wrecked! It’s your mission to get to the top of the Crashers league, defeating all in your path – including a bunch of seriously unhinged Bosses. Buy new cars, upgrade them, and end up with a garage stuffed full of smashtastic metal mangling machines! Crashers has crazy race fans who love to play “chicken” with your car; it’s got a host of visual Upgrades for your cars; Sponsors to boost your winnings; and PowerUps to boost your thrust, increase your armour, or add zappers that will fry the race fans as you roar down the road!